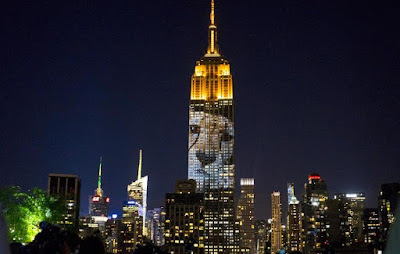 The landmark Empire State Building, known for its stunning light displays, shined brightly with digital light projections of the world’s endangered species Saturday evening. The show was billed as a first-of-its-kind live video projection and aimed to raise awareness about animals at risk of being lost forever. 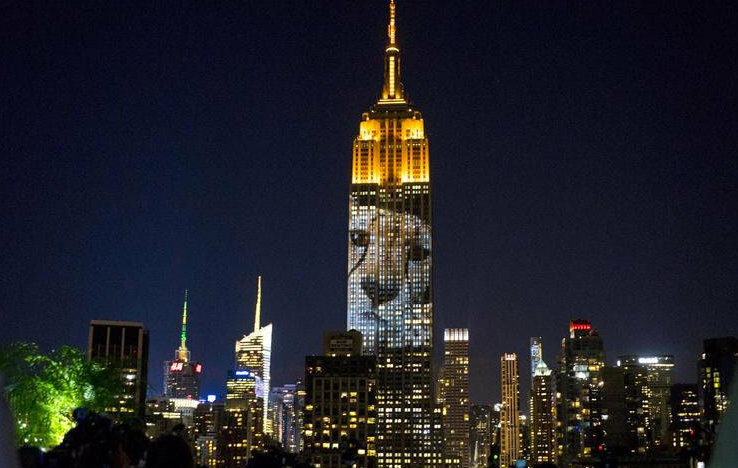 The display, a project conceived by “The Cove” filmmaker Louie Psihoyos, showed a looping reel of endangered animals over a 33-floor span of the southern face of the Empire State Building. In all, 160 species were shown, including a snow leopard, golden lion tamarin, birds, snakes, manta rays, and various mammals and sea creatures. "We're set to lose half the species on the planet by the end of the century," Psihoyos said at the event. At one point an image of Cecil -- a beloved lion in Zimbabwe that was shot and killed by a U.S. dentist during an allegedly illegal hunt in July -- was shown on the building. The killing sparked off a social media firestorm and led to calls for the hunter's extradition. Coincidentally, the uproar gained international attention just days before the light show. Organizers called the show "a weapon of mass instruction." Their series Racing Extinction will debut on Discovery in the fall.